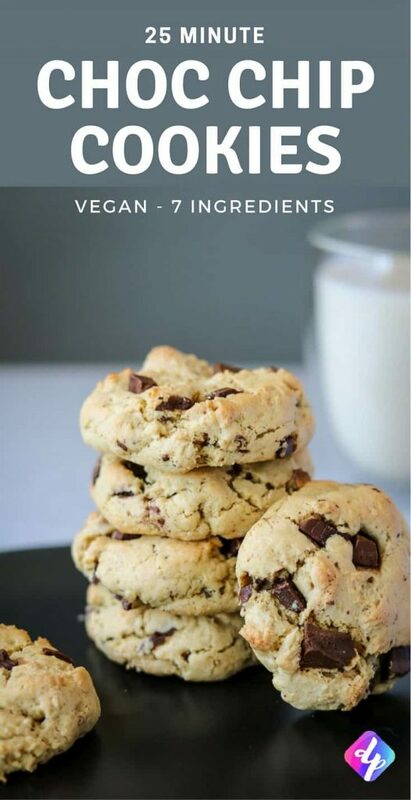 Our quick and easy vegan chocolate chip cookies are made with only 7-ingredients, require only 1 bowl and are ready in 25 minutes! They are also seriously delicious. 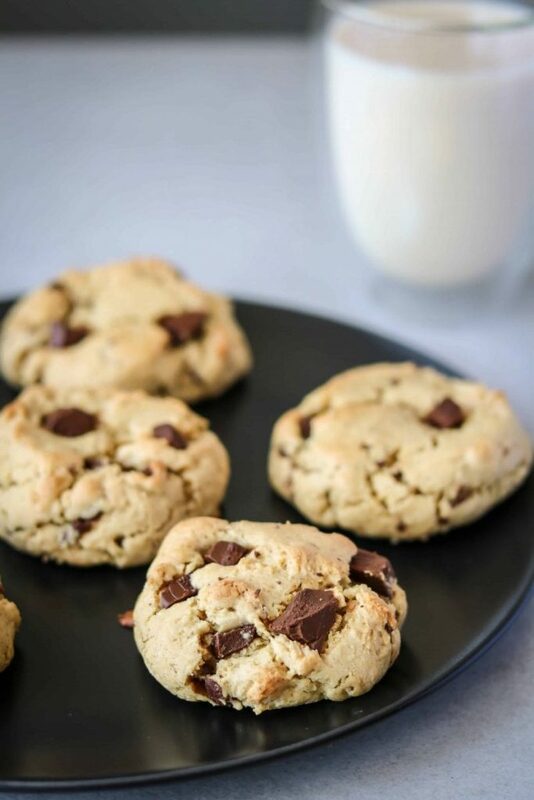 We like our chocolate chip cookies to be fudgier than crunchy so we bake them for a little under 15 minutes and eat them straight out of the oven with a glass of almond milk. 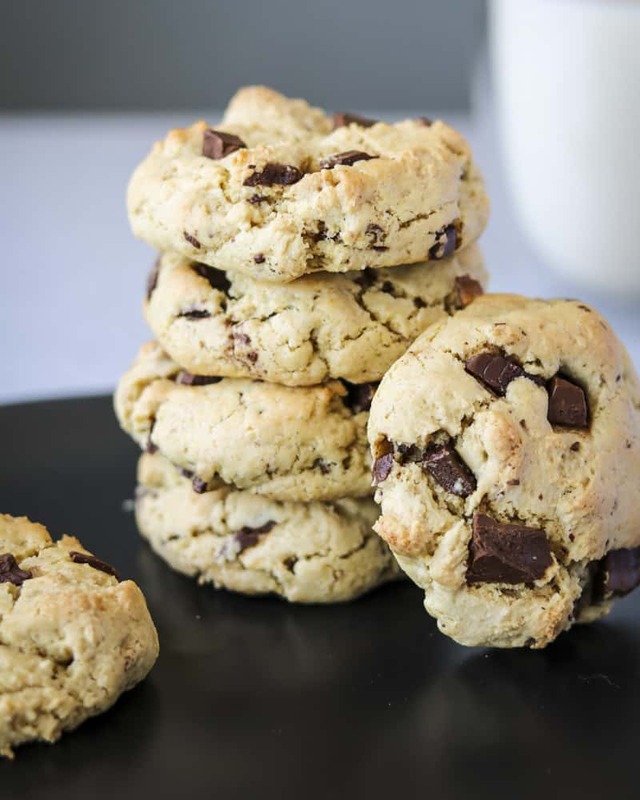 If you prefer your cookies a little crunchier, leave them in the oven for one or two minutes longer. 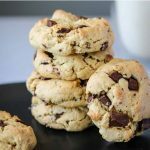 Allow cooling for 10 - 15 minutes after taking them out the oven and enjoy! If you make our vegan brownies let us know by leaving a comment, tagging us on Instagram or using the hashtag #deliciousplants, we love seeing what you come up with! Previous Post: « Easy Vegan Brownies with Peanut Butter Caramel! can it be made with almond milk? Yes, almond milk will work perfectly!